Even as the Supreme Court ordered a three-person panel to complete the mediation process in the Ayodhya dispute, a consensus between the various parties in the case would be a tough task. The parties to the case are the Nirmohi Akhara, Ram Lala (represented by the Vishwa Hindu Parishad-run Ram Janmabhoomi Trust) and the Sunni Waqf Board. The three-member mediation panel is, meanwhile, headed by former Supreme Court judge F M Kalifullah, Art of Living founder, Sri Sri Ravi Shankar, and Chennai-based mediation expert, Sriram Panchu. What makes it tricky for this panel is the rigidity of all parties in the case and their distaste for mediation in the first place. The Nirmohi Akhara has a three-point solution that it is likely to offer during the mediation process. 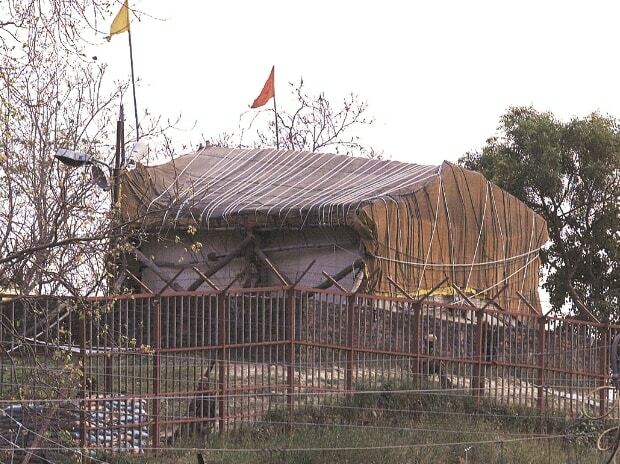 The first option likely to be put forth by the Akhara and the VHP-backed Ram Janmabhoomi Nyas for the Muslims, is to relinquish their claims over the entire land and say that they do not want to build a mosque. The land would be given to Nirmohi Akhara without any quid pro quo. Whatever remains of the Babri mosque would be razed and a Ram temple built there. The second option being put forth by the Nirmohi Akhara is to give Muslims land at least 500 metres away from the disputed site to build a mosque -- the Akhara would oppose the construction of a mosque any closer to a Ram temple than that. The third option is that if Muslims agree to move out of the disputed site, they will be given four bighas (or an acre) of land owned by it at a locality called Vidyakund in Ayodhya. Vidyakund is almost three kilometres away from the disputed site and houses many temples, religious ashrams, and educational institutions. The Nirmohi Akahara will offer this deal at a nominal rent of one rupee to the Sunni Waqf board, since Muslims believe a mosque should not be built on donated land. The Sunni Waqf Board, meanwhile, will be unrelenting in its claim over the entire 2.77 acres of disputed land, completely rejecting claims of the Nirmohi Akhara and Ramjanmabhoomi Nyas. This land was equally divided between the three parties by the Allahabad High Court in 2010. The Waqf board will be putting forward a view that since a mosque existed at the site and was demolished, there is no question of giving up claim over the entire land. While this stance is likely to lead to a further deadlock, people privy to the case have said that the Sunni Waqf Board will not relinquish its claims over the entire piece of land unless ordered by the country’s highest court. It is not clear yet whether the Sunni Waqf board will be amenable to building a mosque alongside a temple at the disputed site – a proposal which has been completely rejected by the Nirmohi Akhara and VHP backed organisations. Lawyers in the case said that ceding to any demand for completely relinquishing claim over the land would amount to surrender by the Muslim community. Sri Sri Ravishankar, meanwhile, has expounded his own set of proposals in the past, which he is likely to use in the current round of mediation. His first proposal is for Muslims to gift the entire piece of land where a makeshift Ram temple stands. His second proposal is for Muslims to gift the land to the community of Hindu saints, who in turn will help build a mosque in Faizabad. His third solution was that in event of a deadlock, the Parliament should enact a legislation gifting the disputed land to the Hindu community. That option, though, has been ruled out for the moment by the Modi government.